What gadgets will Americans buy this year? 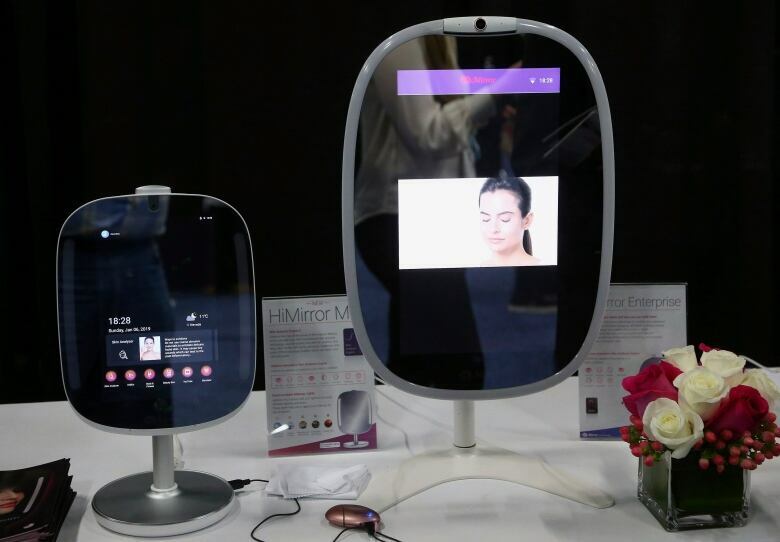 Lots of "smart" devices for their home, according to projections from the Consumer Technology Association, which runs the annual Consumer Electronics Show. Someday, finding an oven that just cooks food may be as tough as buying a TV that merely lets you click between channels. Internet-connected "smarts" are creeping into cars, refrigerators, thermostats, toys and just about everything else in your home. 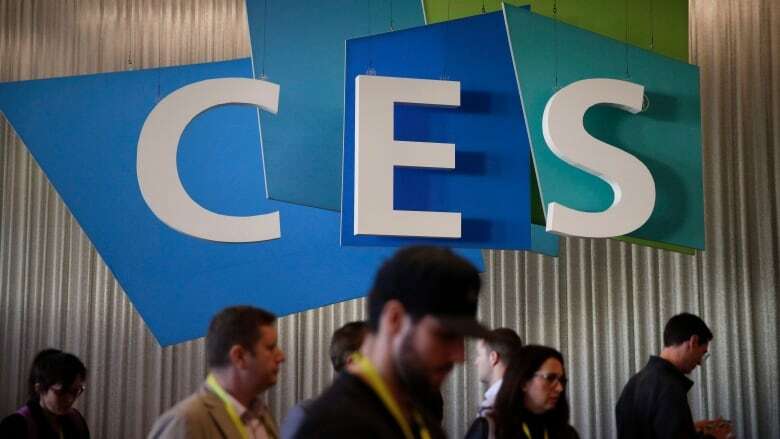 CES 2019, the consumer electronics show on this week in Las Vegas, will showcase many of these products, including an oven that co-ordinates your recipes and a toilet that flushes with a voice command. With every additional smart device in your home, companies are able to gather more details about your daily life. Some of that can be used to help advertisers target you — more precisely than they could with just the smartphone you carry. "It's decentralized surveillance," said Jeff Chester, executive director for the Center for Digital Democracy, a Washington-based digital privacy advocate. "We're living in a world where we're tethered to some online service stealthily gathering our information." Yet consumers so far seem to be welcoming these devices. The research firm IDC projects that 1.3 billion smart devices will ship worldwide in 2022, twice as many as 2018. The Consumer Technology Association (CTA), which runs the gadget show, expects nearly 37 million Amazon Echo, Google Home and other smart-speaker devices to be sold this year in the U.S., a five per cent increase from a year ago. More than 29 million smart doorbells, thermostats and switches are expected to be sold, a 23 per cent increase from the previous year. 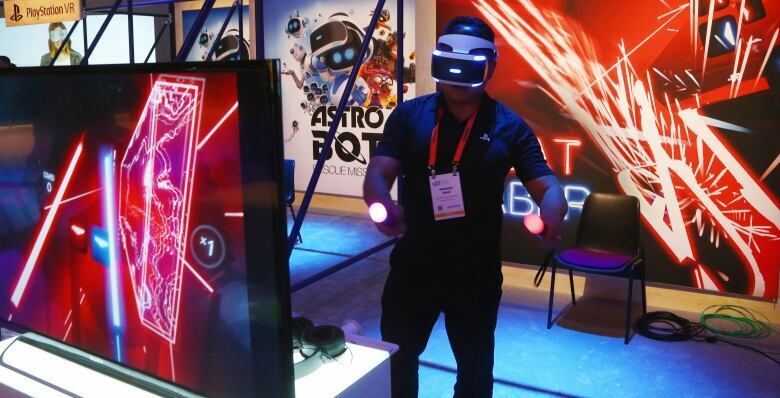 Other gadgets expected to sell well in 2019: wireless earbuds, smartwatches and drones. Fewer TVs are expected to be sold, however — 42 million units, a one per cent decline from 2018. Total U.S. tech revenue, which includes video and music streaming services like Spotify, is expected to rise 3.9 per cent to a record $398 billion US this year, the CTA said. Ready for a smartphone-like touchscreen on your car's steering wheel? That's the future, according to Chinese electric carmaker Byton, which is planning to sell its first vehicles in China this year and in the U.S. in 2020. 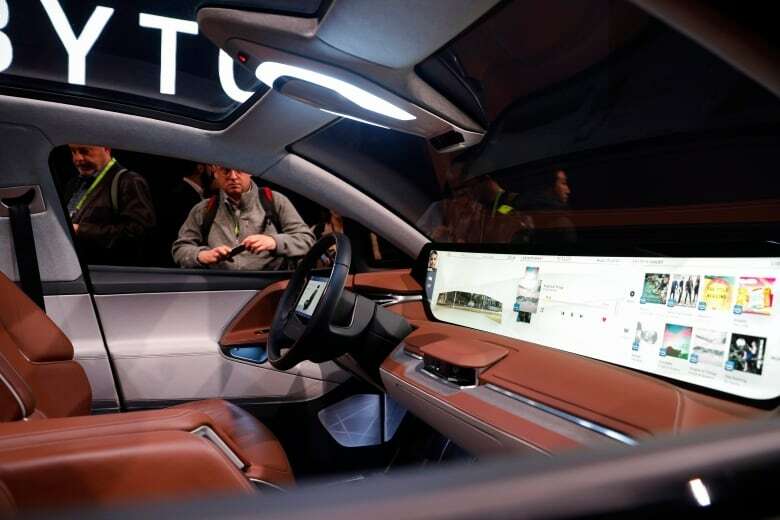 Byton chief executive Carsten Breitfeld unveiled the new driver interface system Sunday at the CES 2019 gadget show in Las Vegas. He says the wheel-mounted touchscreen on the company's first model, called the M-Byte, "will stand still while the steering wheel rotates." The crossover SUV also features a long digital screen across its dashboard. Byton executives say they've met with legal authorities in various countries to ensure the entertainment and control system meets safety standards. They say it's safer than dashboard touchscreens because the wheel's already in a driver's field of vision. The vehicles are expected to sell starting at $45,000. Companies say they are building these products not for snooping but for convenience, although Amazon, Google and other partners enabling the intelligence can use the details they collect to customize their services and ads. Whirlpool, for instance, is testing an oven whose window doubles as a display. You'll still be able to see what's roasting inside, but the glass can now display animation pointing to where to place the turkey for optimal cooking. The oven can sync with your digital calendar and recommend recipes based on how much time you have. It can help co-ordinate multiple recipes, so that you're not undercooking the side dishes in focusing too much on the entree. A camera inside lets you zoom in to see if the cheese on the lasagna has browned enough, without opening the oven door. 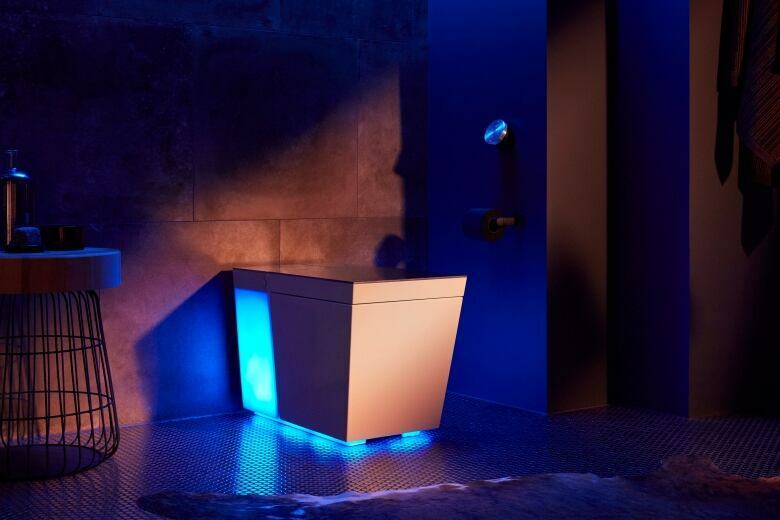 As for that smart toilet, Kohler's Numi will respond to voice commands to raise or lower the lid — or to flush. You can do it from an app, too. The company says it's all about offering hands-free options in a setting that's very personal for people. The toilet is also heated and can play music and the news through its speakers. Kohler also has a tub that adjusts water temperature to your liking and a kitchen faucet that dispenses just the right amount of water for a recipe. For the most part, consumers aren't asking for these specific features. "We try to be innovative in ways that customers don't think they need," Samsung spokesperson Louis Masses said. Whirlpool said insights can come from something as simple as watching consumers open the oven door several times to check on the meal, losing heat in the process. 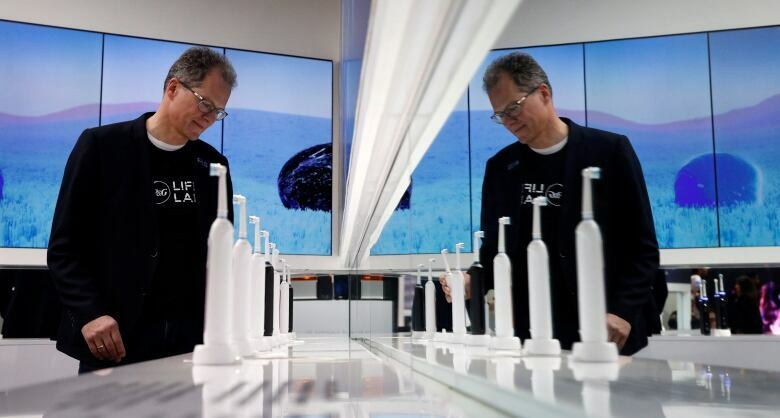 "They do not say to us, 'Please tell me where to put [food] on the rack, or do algorithm-based cooking,"' said Doug Searles, general manager for Whirlpool's research arm, WLabs. "They tell us the results that are most important to them." 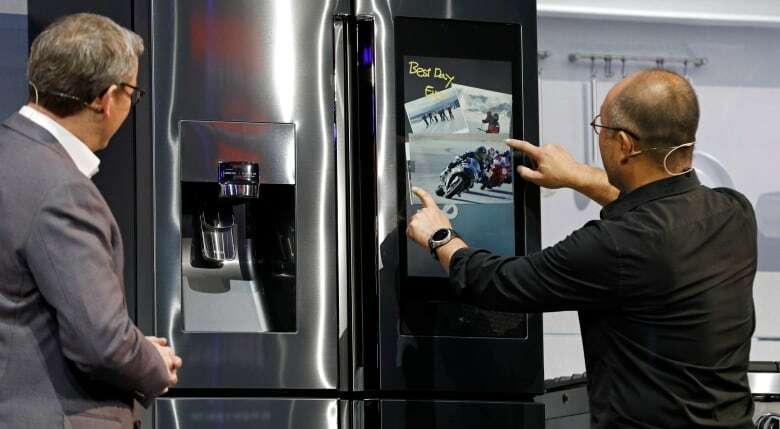 Samsung has several voice-enabled products, including a fridge that comes with an app that lets you check on its contents while you're grocery shopping. New this year: Samsung's washing machines can send alerts to its TVs — smart TVs, of course — so you know your laundry is ready while watching Netflix. A fishing rod that tracks your location to build an online map of where you've made the most catches. A toothbrush that recommends where to brush more. A fragrance diffuser that lets you control how your home smells from a smartphone app. These are poised to join internet-connected security cameras, door locks and thermostats that are already on the market. The latter can work with sensors to turn the heat down automatically when you leave home.